Health software exporter Orion Health is banking on the appointment of a new sales head to put a spring back in its step. That follows a profit warning and a 25 per cent slide in its share price last week. Teri Thomas was a vice president at United States rival Epic Systems until she stepped down a year ago. But some breweries have been growing much faster. Take a look at the Deloitte Fast 50 index – which tracks New Zealand’s fastest growing companies. Panhead – which has been snapped up by Lion for $25 million – was fourth on that list in 2016 with revenue growth of 925 per cent. 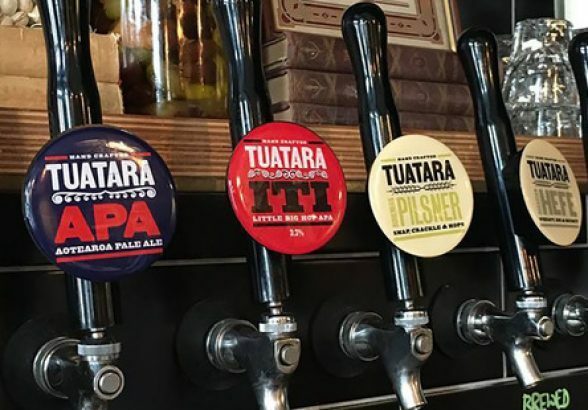 Tuatara, which was purchased early this month by DB for an undisclosed sum, made the list for three years in a row from 2009 to 2011. In 2015 Garage Project topped the list with 664 per cent growth and fellow Wellington brewer ParrotDog saw 263 per cent growth that year. It’s reminiscent of the tech boom – although beer brewing is one of the oldest of industries. It also has much more onerous capital requirements. And relatively low margins. Vasta made headlines this month with the sale to DB, a move that will have disappointed some purist independent craft beer fanatics. “We looked at a few options,” says Vasta, who will stay on with Tuatara and is excited about putting his focus back on the beer making. 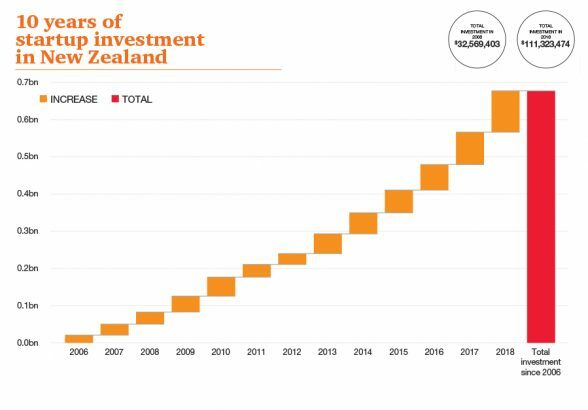 Those included crowd-funding, more private equity (Tuatara already had some investment from PE fund Rangatira) and even a stock market listing. But after doing some research, he decided the costs of listing were too daunting. The corporate side of the business, let alone private equity, exit strategies and the rest doesn’t sit naturally with many brewers. It is an industry that has been built largely on passionate beer lovers scaling up their home brew operations. 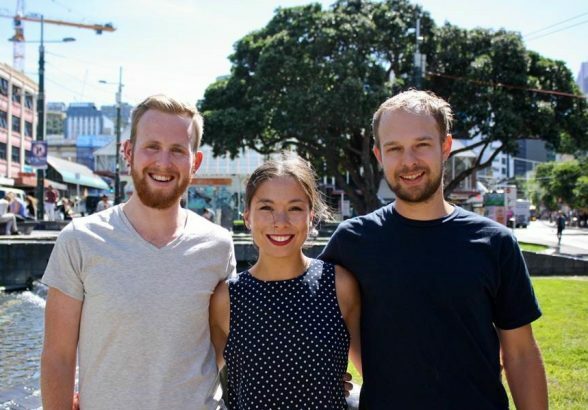 Matt Stevens at ParrotDog – which completed New Zealand’s most successful crowdfunding round last year – was a chartered accountant in his previous life. But despite some experience on the financial side, he says he has never really considered what the exit strategy might be. Growth was initially debt funded by the founding shareholders, but they were keen to leverage their popularity and needed a new, bigger brewery. ParrotDog raised the maximum legal amount for a crowdfunding initiative, $2 million, in just 48 hours last August. It is one of three breweries to go down this path, including Yeastie Boys and Renaissance. The success of the crowdfunding round “was a flattering affirmation”, Stevens says. But it did mean that ParrotDog suddenly gained 792 new shareholders. 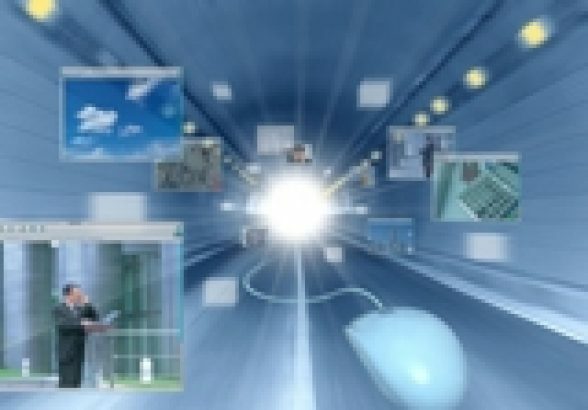 It now runs its own share register, including a platform to facilitate share transactions. ParrotDog went to the public with a nominal valuation of just under$10 million. That was based on an earnings multiple they felt was in the middle of the range for comparable businesses. But that valuation might have been squeezed down by the market if it had been a full public offer, he says. As it turned out, the strong demand meant they achieved a post-crowdfunding valuation of more than $11 million, even though shareholders were offered no prospect of dividends in the immediate future. Vasta’s not sure how much weight investors were putting on that valuation anyway. That beer-first philosophy is very much shared by Garage Project’s Jos Ruffell. Despite huge demand for its beers, which regularly sell out, Ruffell says he has resisted the temptation to dramatically expand production. Chasing volume has never been a focus, he says. Instead, Garage Project produces a huge variety of experimental beers. It started out with just a 50 litre brewing system and produced 24 different beers in 24 weeks. Those beers were a hit and proved there was a business model, says Ruffell. So they did an angel investment round which included friends, family and some mentors who had been advising them. Garage Project has since produced hundreds of beer varieties and has been able to fund further expansion with operating earnings, including a big move, just underway, to start producing at a new brewery in the Hawke’s Bay. Even that expansion is about creating the opportunity to do more experimental things, Ruffell says. But the fiercely independent approach doesn’t necessarily mean a lack of ambition for the business. Ruffell cites family business Whittaker’s (whose chocolate Garage Project uses for some of its specialty beers) as a role model for the kind of business he’d like to create. 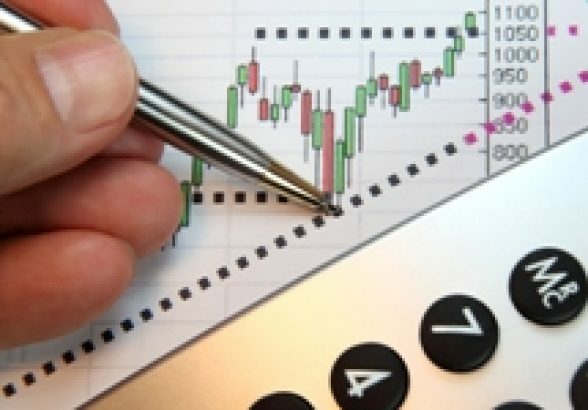 Eventually, a stock market listing could potentially be an exciting path to take, but that is a long way off, he says. 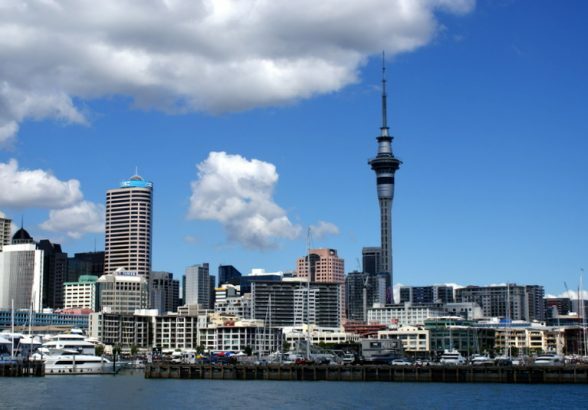 For now, though, New Zealand has just one publically listed brewer – Moa. 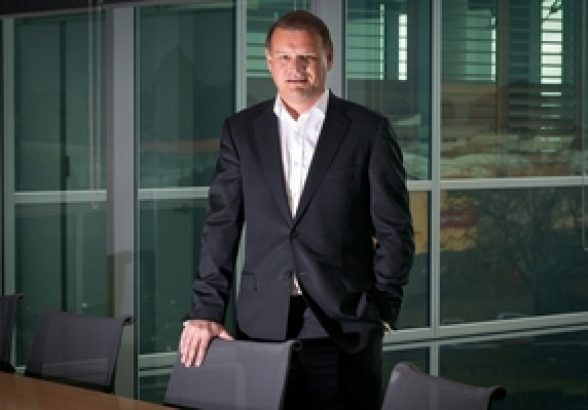 Chief executive Geoff Ross is a share market veteran, having successfully listed and sold vodka company 42 Below last decade. “Years ago, both Lion and DB were listed here in NZ … now we’re the only opportunity for local investors,” he says. He can see why market listing is daunting to many brewers. Ross says he’d like to see the New Zealand stock market more open to growth companies. But he’s not sure the problem lies with the market itself. The challenge is with the broking and advisory community, he says. Ross says being listed works for Moa because it has big aspirations. It is seeking to challenge the distribution stranglehold Lion and DB have on the market. He can foresee a time when Moa will look to acquire smaller, more specialist beer brands to leverage its distribution network. He already has a distribution partnership with ParrotDog. He remains upbeat about the outlook for the craft beer sector even though he can see risks of “gold rush fever” setting in. There will eventually be two tiers of brands, he says. And you could argue that depending on your aspirations, either route is a good one to take. Garage Project will be the foundation brewer in the new bStudio brewery in Napier. It is not building the brewey itself. Lowndes is pleased to invite you to the fifth workshop in the 2016 Business Intelligence series, Growth Companies: Capturing the Synergies between Entrepreneurs and Smart Capital, an evening to meet and hear from four highly regarded specialists in this field, and network with a range of senior business people. 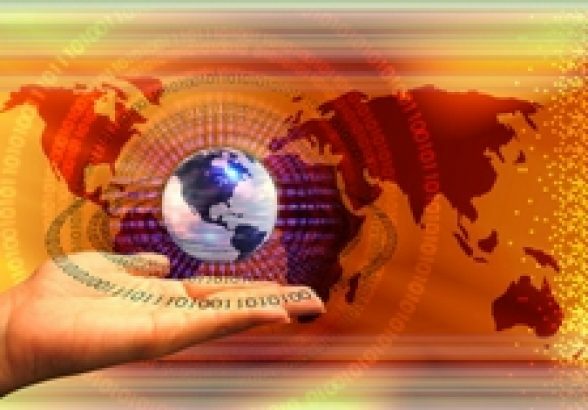 This evening event offers you a unique opportunity to share ideas with a panel of International and New Zealand experts and your peers. Lowndes has hosted this well regarded event for 5 years and welcomes your participation in the discussion and pre event networking. The senate has passed new early-stage start-up investment tax measures, hailed by StartupAUS as a ‘triumph’ for Australia’s start-up ecosystem. The legislation, which will give concessional tax treatment to investors including a 20 per cent non-refundable carry forward tax offset on investments in qualifying companies, passed today with bipartisan support. The measures also include a 10 year exemption on capital gains tax, provided investments are held for 12 months or more. The Cooney Lees Morgan partner is well-known in the region’s investment community and serves with Comvita chairman Neil Craig on the board of early stage funding group Enterprise Angels. Mr Craig, speaking from Hong Kong where the full Comvita board are currently on a trip to deepen their understanding of the China markets, said Mr Denyer’s qualifications included the fact he was local, his age and his commercially focused legal background. “Comvita has some quite progressive share schemes and we brought him on six months early so he could get his head around that with David,” said Mr Craig. Angels should be looking forward to seeing what sort of ‘angel food’ Sprout, the recently announced agritech accelerator generates. Business talent scouts are looking for a startup with the potential to be New Zealand’s next global agritech superstar. Sprout, a national agritech business accelerator, is searching the country for eight budding entrepreneurs with embryonic agritech businesses for a new development programme. Spend any time sitting at a boat ramp observing the bustle of boaties launching and retrieving their vessels and inevitably, excruciatingly, it won’t be long before something goes awry. 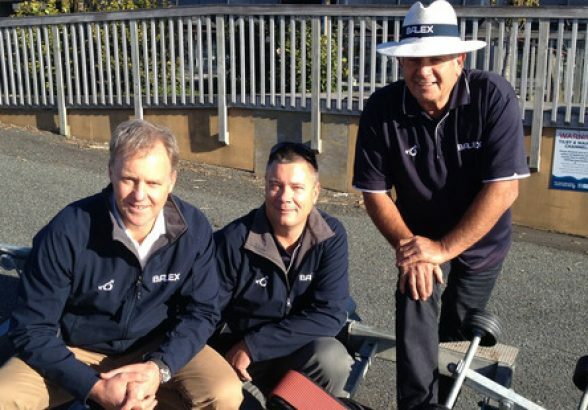 These boat scratching moments are the bane of any owner’s day, but they’re also the motivation behind a Kiwi innovation – the Balex Automatic Boat Loader. A self-powered, remote controlled device for loading and unloading boats onto trailers, the ABL2500, made by Balex Marine in Tauranga, eliminates the need for manual winches, wet feet and, crucially, requires just one person to get a boat into and out of the water. The first batch of finished units is due to ship to customers in spring. However, the story of how Balex got to this point began 10 years earlier in the garage of Tauranga realtor Lex Bacon. Bacon, following a suggestion from his wife that inventing an automatic method of launching and retrieving boats would save many a marriage, spent years building early versions in his shed. n 2013, mutual interests brought Bacon together with businessman Paul Symes who had just spent eight years in the Philippines building a CAD-based engineering company which he’d sold before returning to New Zealand. A keen boatie and sailor, he brought his family to the Bay of Plenty and met Bacon and his fledgling automatic boat loader. Sensing an opportunity to fold his hobbies and his penchant for investment into a single business, Balex Marine was founded in late 2013. What followed was an intensive period of research and development in the hope of creating a product that Symes believes has the potential to become as commonplace as automatic garage doors. “I spent the latter part of 2013 doing my own due diligence,” Symes says. This involved employing product development consultancy Locus Research to conduct market research. “By late December 2013 we’d brought all of those findings together and ultimately decided to develop, in 20 weeks, an advanced prototype as part of a market validation programme,” says Symes, who put up $300,000 to fund this first phase. The finished prototype was showcased to the 2014 Auckland Boat Show’s 34,000 visitors. With an advanced prototype and plenty of market validation under their belts, the company now needed capital. 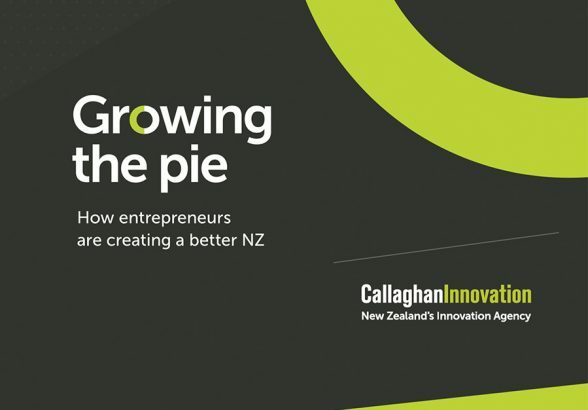 Government-backed Callaghan Innovation provided about $100,000 to continue the R&D programme and after a successful pitch the Bay of Plenty-based early stage investment group the Enterprise Angels invested $700,000 to get the first boat loaders out the door. During the Enterprise Angels’ due diligence process another key figure, Paul Yarrall, joined the team. 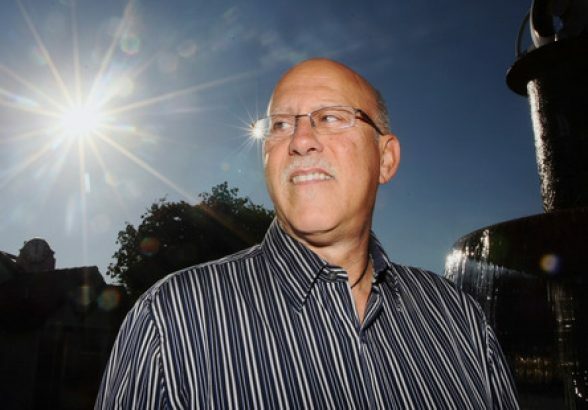 The relationship clicked and in January 2015 Yarrall joined Balex’s board as sales director. Even as the launch draws nearer, the company is busy preparing for a second, larger round of capital raising. 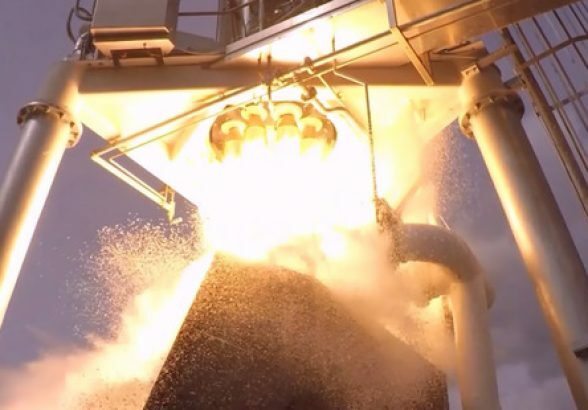 This money will enable the company to set in motion its ambitious plans for a worldwide launch, beginning with Australia, then North America and Europe. Remote controlled device for loading and unloading boats. Developed an advanced prototype in 20 weeks. Received $800,000 in funding and investment. Planned to launch this spring. A wonderful award made recently to Professor Richard Harrison, Chair in Entrepreneurship and Innovation at University of Edinburgh recognising the role he played promote angel investment in the UK. 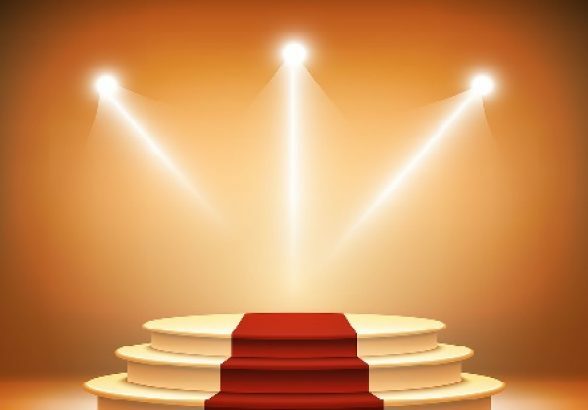 The academics credited with introducing the ‘business angel’ phenomenon to the UK, and stimulating more than £750m of entrepreneurial investment each year, have been recognised with an award for their outstanding contribution to business research during the past 25 years. University of Edinburgh Business School’s Professor Richard Harrison, and Adam Smith Business School, University of Glasgow’s Professor Colin Mason received the award for Outstanding Impact in Business, at the Economic & Social Research Council (ESRC) Celebrating Impact Awards. The award recognises the crucial role their research has played in stimulating business angel investment and ensuring government support for this key source of entrepreneurial finance. 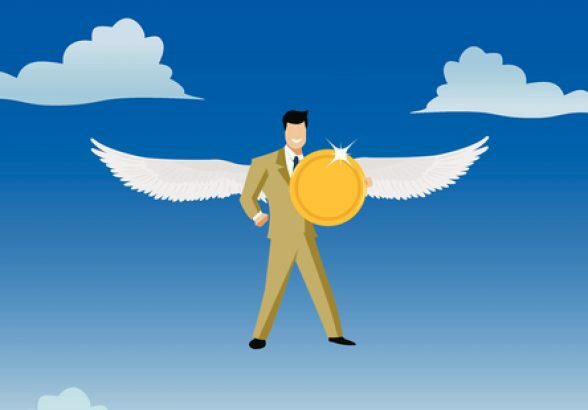 Unheard of in the UK before 1990, ‘business angel’ is now a commonly used term to describe wealthy individuals who invest their personal wealth in start-up, or early-stage ventures, in return for an equity stake. The researchers’ proposals for business angel networks (BANs) was first adopted in 1991 by the UK government in five pilot projects, before going on to play a pivotal role in the Department of Trade and Industry’s best practices guide for the formation of BANs. 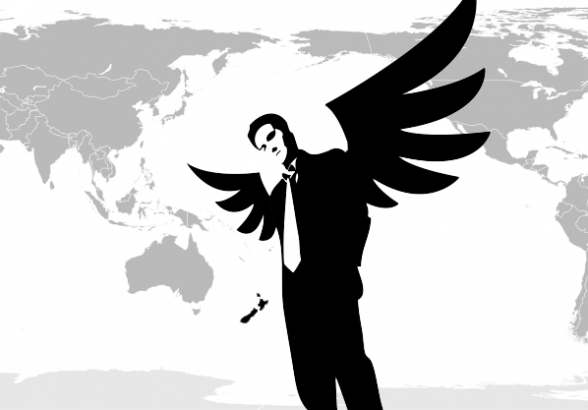 Angel investors are often an entrepreneur’s first port of call for capital. But what’s it like dealing with angels? Is it more halos or hassle? NZBusiness sat in on the Angel Investor Summit where entrepreneurs shared their highs and lows. Scantily-clad forms don’t tend to dominate investment gatherings. So perhaps it wasn’t surprising that there was a palpable feeling of renewed interest when Kiwi entrepreneur Paul Cameron flicked up a slide of a rather beautiful female ‘angel’ at the recent Angel Investor Summit in Auckland. “We really like angels. They are beautiful people. And this is what I think about when I think about my angels,” Cameron said to howls of laughter from the mainly male, mainly older and mainly well-to-do and (thankfully) fully dressed audience. Cameron says he likes his angels for a number of reasons outside the cash they bring. Key for him has been the support they’ve given him and his business, Booktrack. Booktrack’s patented technology lets anyone add a synchronized movie-style soundtrack, including sound effects, to an e-book or other digital content, with the audio paced to the reader’s own reading speed. The idea dates back to 2009, but it wasn’t until 2011 that Cameron sought help and capital. Since then, Booktrack has raised more than $2 million from early stage investors including Sparkbox, The Warehouse founder Stephen Tindall’s K1W1, Kiwi entrepreneur Derek Handley and US tech entrepreneur and investor (and self-proclaimed Kiwiphile) Peter Thiel. Quoting boxer Mike Tyson, Cameron says “Everyone has a plan until you are punched in the face,” and that’s what it’s like for entrepreneurs; things often don’t go to plan. When that happens you need to know there’s support there; that someone is guarding your back, he says. Right from the beginning Sparkbox’s Greg Sitters has always been there for him, with almost daily contact at the beginning of his angel journey, he says. “It had been eleven months. It was 9.30 at night and my phone rang. It was Greg and he goes ‘How you going?’, and I reply ‘Good, what’s going on?’ He says ‘Nothing, I just haven’t heard from you so I was just checking in that everything was all right’. “It was the first time in months we hadn’t actually touched base for more than 24 hours,” Cameron laughs. But knowing that sort of support is there when you’re trying to build up a business and trying to raise capital is invaluable, he says. Another thing angels bring to the table is connections and networks, says Cameron. When Kiwi entrepreneur Derek Handley sold his successful mobile marketing company, The Hyperfactory, a friend suggested he get in touch with him. Cameron went to Sitters and asked if he knew Handley. He did, and a meeting was arranged. Soon Handley was an investor and had arranged for Cameron to go to Silicon Valley to meet some members of his own network. These introductions led to Cameron netting Thiel as an investor and the rest, as they say, is history. Antony Dixon, founder of super slimline radio frequency identification product manufacturer Times-7, says without his Kiwi angels’ encouragement and networks, he’d have never have got on a plane and met, let alone landed, his current Silicon Valley partners. Another big plus is just the belief angels bring to an entrepreneur, says Cameron. “When someone says they want to invest in your business, as an entrepreneur you feel 100ft tall; like you can take on the whole world. It gives you amazing self-belief and the motivation to go an extra 200 percent when you’re already giving it 100 percent. But the downside of all this relationship-building is the time involved for what is often not a lot of capital at the end of the day, she says. “It’s been the time pressure that’s been the hardest for us; the involved time, my time.” Every pitch is different and it differs between angel groups, but angels should streamline their processes more and be far more transparent about what’s happening and how as an entrepreneur you’re doing, so there’s no time wasted just wondering what’s going on, she says. John Huston, founder of one of North America’s largest Angel Groups, the Ohio Tech Angel Fund and a key note speaker at the 2014 Angel Summit, says the only constant entrepreneurs have is 168: the number of hours in a week. “The most successful entrepreneurs are those who use those 168 hours most effectively. To improve the process Cameron says some angel groups need to realise it’s okay to say “no”. There’s nothing worse than having a great meeting, a seemingly great pitch and then never hearing anything again, he says. 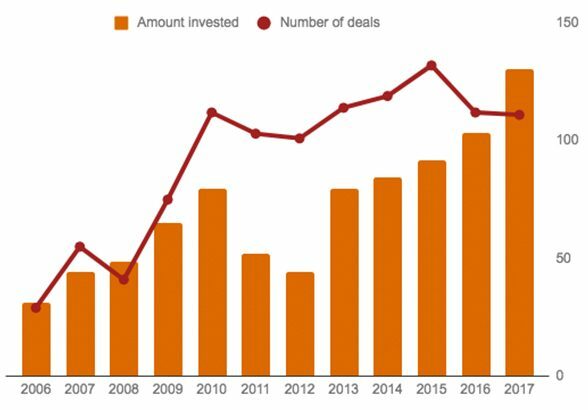 Lacy says now there are more angel groups in New Zealand, they should be a little smarter about matching investors to companies and their founders – as you can’t, and you shouldn’t even try, to separate one from the other. “It would be really good if I didn’t have to endlessly pitch to people who just want to invest in the next Facebook. Understanding their space better was a common grumble among the entrepreneurs who shared their experiences. Andrews says it was still early days in the smartphone revolution when she started out, but she was a little shocked and dismayed when one potential investor asked not about the markets she was heading into, her financials or her team, but simply, how they could get her app on their phone. That said new entrepreneurs do need a lot of education, says Cameron. Even the terms investors use are like a foreign language. Lacy says it would be useful if investors forced entrepreneurs to do a five-day Institute of Directors course on what your responsibilities as a board director actually are after they invest. As to boards, it’s really vital you get the right people on your board at the right time, she says, and just because someone invests in your company, it doesn’t mean they should have a board seat. Today Lacy’s company Drikolor has finally caught up to her board’s experience and she says she wouldn’t hesitate to recommend the angel investment route to other budding entrepreneurs.